Back when the mortgage crisis was in full bloom, Federal National Mortgage Association (OTCMKTS:FNMA) and Federal Home Loan Mortgage Corp (OTCMKTS:FMCC) had to be bailed out by the government. The U.S. government dumped $187 billion into the agencies. In exchange, it was given warrants to buy 79% of the companies, and the investment (which was in preferred stock) would earn 10% of the agencies’ net profits each quarter. Then the Treasury Department, in an arguably illegal move, changed the rules so it would sweep out all the net profits of the agencies. The idea was that since FNMA stock and FMCC stock were in a death spiral, or so it appeared, the Treasury Department was protecting taxpayer money by taking all the profits and making sure it didn’t have to throw new capital at another bailout. At least, that was the idea. Instead, to the surprise of no one considering this was a move by the government, it actually puts FNMA and FMCC in worse shape since they are being stripped of their capital. I think five years of profits fits that definition, not to mention that us taxpayers have now received back $260 billion on the $187 billion investment — a $73 billion profit, or 40%. What many are pushing for, including hedge fund managers Bill Ackman and Bruce Berkowitz, is for the government to recapitalize FNMA and FMCC. Let the companies do their jobs again, with proper reform. The losses of FNMA and FMCC were close to $140 billion, which vastly exceeded their minimum capital requirement of $20 billion. Ah, but when you strip out the credit loss provisions, which is an accounting requirement, actual losses were $46 billion. And, again, when you strip out the losses from the subprime and Alt-A loans which FNMA and FMCC were never supposed to backstop, the actual losses were only $27 billion. Ackman’s proposal to reform FNMA and FMCC suggests possibly future value for them between $23 and $47 per share. And now, there is finally serious talk of reform going on in Congress. 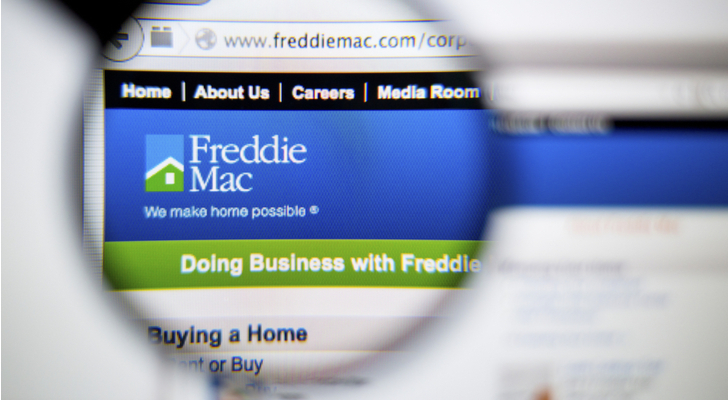 Senators Corker and Warner have a proposal that would keep Fannie Mae and Freddie Mac but create competitors, as well as create an explicit guarantee from the government on mortgage bonds that are created under reform. Congressman Hensarling indicated he’d be open to a government guarantee on some mortgage bonds but didn’t want it to be terribly large. New competitors would have to have stress tests and sell off some of the risks to private investors. Even then there would be yet another guarantee put up by the government that would not be a taxpayer burden. So is there a play to be made on FNMA stock and FMCC stock? It does seem like momentum is building for something to finally happen. The risk is that common shareholders could be wiped out because there are preferred shareholders ahead of them. So there is a very real risk of going to zero. Regardless, I don’t see how there isn’t dilution of some kind. It will either come from an equity raise, from the warrants being executed, or for conversion of the preferred to the common. However, the Ackman plan could also come to fruition, leading to substantial upside. This is a case of taking a very small speculative risk for investors with a little capital to spare. Lawrence Meyers is the CEO of PDL Capital, a specialty lender focusing on consumer finance, and is the Manager of The Liberty Portfolio at www.thelibertyportfolio.com. He owns FNMA and FMCC. He has 23 years’ experience in the stock market and has written more than 1,800 articles on investing. Lawrence Meyers can be reached at [email protected]. Article printed from InvestorPlace Media, https://investorplace.com/2018/01/why-freddie-mac-and-fannie-mae-stocks-are-potential-10-baggers/.